Maggiano's Teammates nationwide are excited to kick off the annual Eat-A-Dish for Make-A-Wish campaign, which has raised more than $8 million and granted more than 1,100 life-changing wishes. 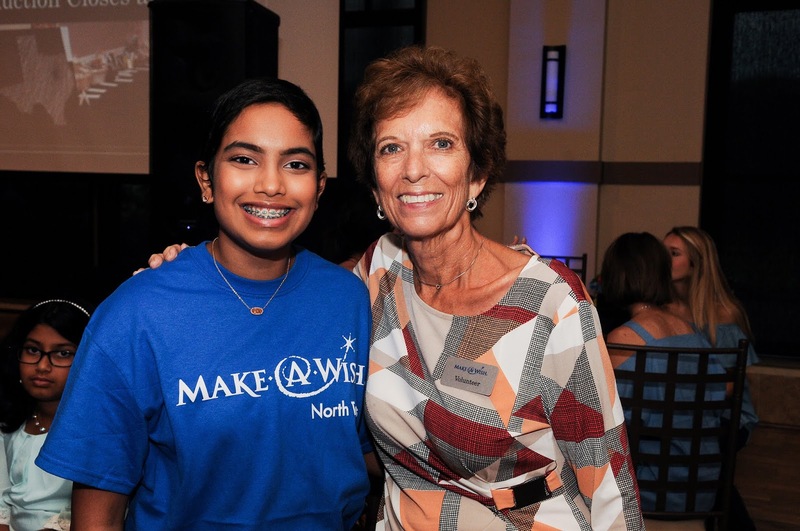 When Guests participate in the Eat-A-Dish for Make-A-Wish campaign, they are partnering with Maggiano's to grant wishes for kids like Meghna, a 15-year-old battling cancer. Meghna's wish is to travel to Italy to experience the Blue Grotto of Capri, the "water city" of Venice and the wonders of Rome. "At Maggiano's, we want every Guest to feel special while dining with us and we are so thankful to have Guests who eagerly partner with us to make the wish kids feel special," Larry Konecny, vice president and chief marketing officer of Maggiano's, said. 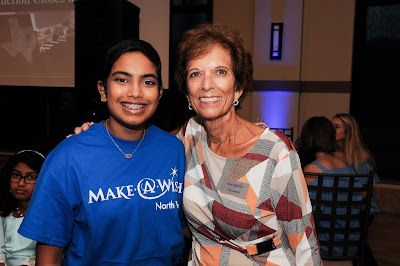 "Year after year, I'm amazed by the Maggiano's Teammates who go above and beyond to host over-the-top wish parties and directly connect with the wish kids and their families in our restaurants across the nation. Let our favorite time of year begin." "Maggiano's has been deeply committed to helping children with critical illnesses for the past 15 years," David Williams, president and chief executive officer for Make-A-Wish America, said. "We are grateful to partner and have the long-time support of Maggiano's, its Guests and Teammates. We are excited to continue the tradition and, together, help grant more wishes, one dish at a time." Since 2003, Maggiano's and Make-A-Wish have teamed up to grant wishes to children with critical illnesses through the annual Eat-A-Dish for Make-A-Wish campaign. Over the past 15 years, Maggiano's has become one of the highest grossing national sponsors for Make-A-Wish. Maggiano's has raised more than $8 million and granted more than 1,100 wishes. Follow news about Maggiano's on Facebook (facebook.com/maggianos), Twitter (@maggianos), Instagram (instagram.com/maggianoslittleitaly/), YouTube (youtube.com/maggianoslittleitaly) and Pinterest (pinterest.com/maggianos). For more information, please visit maggianos.com.